Ultra-light, long-lasting No Mask liquid foundation provides a perfect look of the complexion all day long. Its light, liquid consistency makes the fluid seamlessly blend with the skin, giving the make-up a fresh and natural look without overburdening the skin. - Hyaluronic acid - moisturises the skin, making the complexion look healthy and radiant. - The smoothing complex - provides adequate tension of the skin as well as its protection and regeneration. 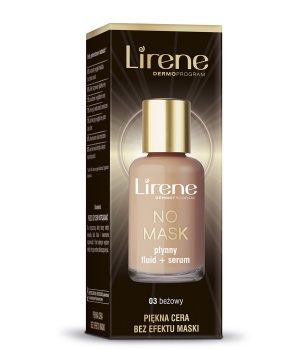 85% — colour levelling and concealment of blemishes.